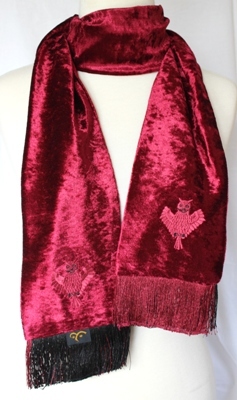 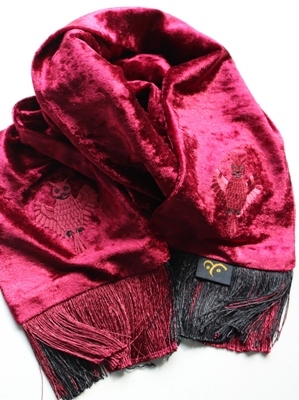 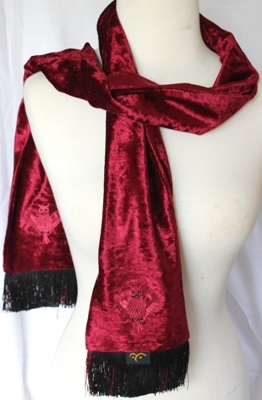 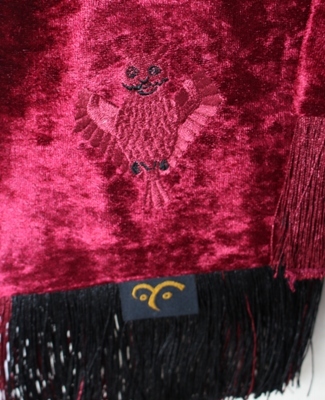 On this scarf, the owl is embroidered in a similar shade of maroon as the fabric, with some detail in black. 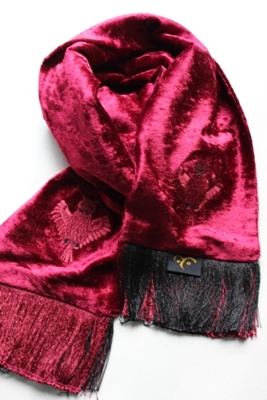 It creates a very subtle design. 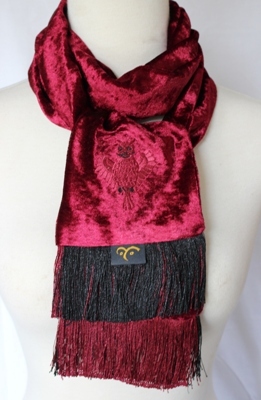 Kim has used both maroon and black fringing at both ends of the scarf, for an interesting effect. 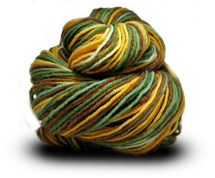 As with all of Kim's velvet scarves, this scarf is embroidered on both sides, at both ends.